Benue State Governor, Samuel Ortom, says he has forgiven those who plotted to illegally impeach him as Governor. He spoke on Sunday at St. Mary’s Catholic Parish, North Bank Makurdi during a thanksgiving service in his honour and the Majority Leader of the Benue State House of Assembly, Rt Hon. Avine Agbom. Ortom explained that his decision was based on the conviction that as a Christian, one is forgiven by God to forgive other fellow humans for their wrongs. The Governor stated that, though he has forgiven the persons behind the failed impeachment move, those who were part of the plot have the moral duty to publicly cleanse the smear they poured on him. He said some of the assembly members who wanted him impeached have realised their mistakes and are retracing their steps to join the PDP fold. 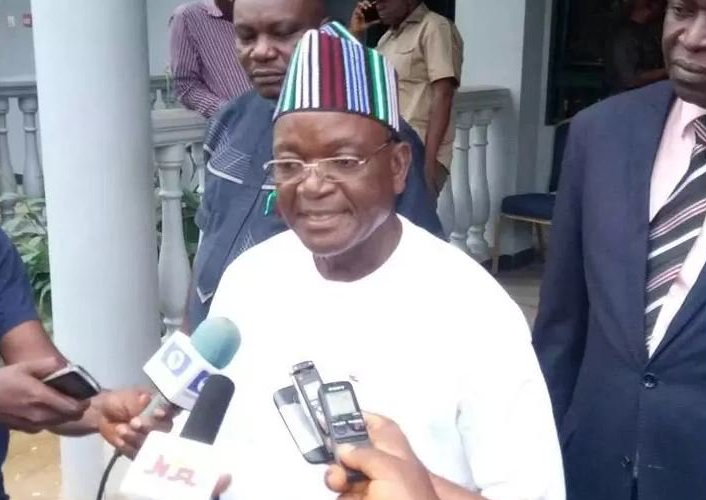 Ortom stated that his determination to continue to save lives and property remains unwavering, saying he set up a foundation about 16 years ago to help treat snake bite patients from all parts of the state. He acknowledged the support of the Church, Mr. Avine Agbom and the entire Benue people to the sustenance of peace in the state. Governor Ortom directed the state Commissioner for Education, Science and Technology, Professor Dennis Ityavyar to construct a block of classrooms at St. Mary’s Secondary School North Bank as part of his intervention in the school.